Green herbs? Check. 90s haircut? Oh yes. Corporations that falsely advertise selling umbrellas? Sounds like Resident Evil 2 Remastered to us! 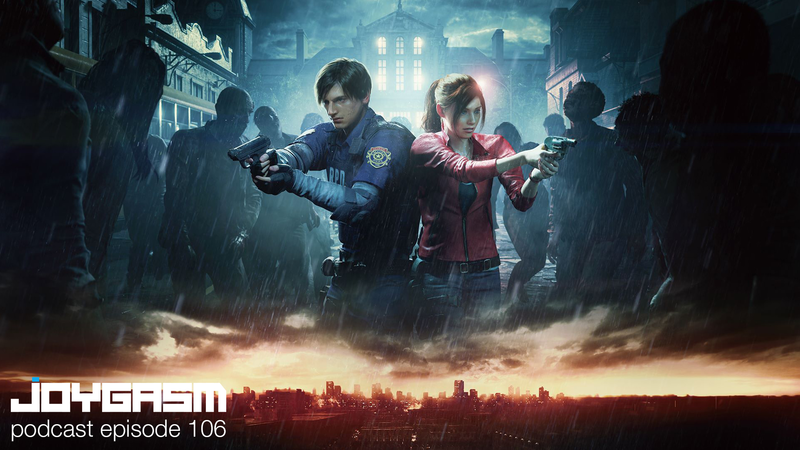 In episode 106, we scrounge up just enough bullets to narrowly survive and examine Capcom’s revisiting to one of the most beloved survival horror games ever released for console (Released first to http://www.patreon.com/joygasm supporters on 01.27.2019).